I’m very happy with how 2016 went here at Thoughts on Translation, and thank you so much to everyone who read and commented on my posts this past year. The site’s readership is up to about 1,000 views a day, and in 2016 I managed to publish about one substantive post per week. It was also exciting to win the “best translation blog” category in the ProZ Community Choice awards. More guest posts (the first two are in the works, stay tuned for more). I’m hoping that these will offer a greater variety of perspectives on our industry, instead of 709 more posts from my perspective. A podcast, hosted by me. This will be basic (no interviews, just me talking about a translation-related topic), but it will offer an additional option for anyone who’s sick of reading at the end of the translation workday. One other change is that from here on out, I will be paying an honorarium for guest posts. I think it’s important to be up-front about this. 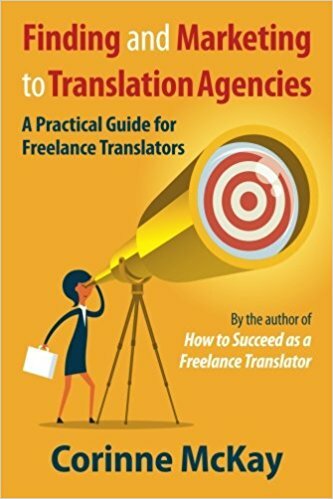 Thoughts on Translation is most of all an online community of language professionals, but it’s also the main marketing platform for my online courses, books, and consulting services. And I don’t want other people to feel that they’re contributing to that for free. I’m excited about these changes, and I’m looking forward to your feedback when they go live! Thank you so much Corinne for sharing your knowledge. Great page and extraordinary initiatives!!!! Keep on being the best. That’s very sweet, thank you!